This show was broadcast on January 20, 2014. First 40 minutes: Jack Shaheen, author and filmmaker. The 9/11-triggered War on Islam, with its ritual human sacrifice of millions of Arabs and Muslims, was prepped by decades of ever-accelerating Hollywood hate propaganda. 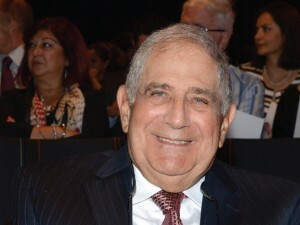 Jack Shaheen’s film Reel Bad Arabs: How Hollywood Vilifies a People exposes Hollywood’s ongoing complicity in the demonization and mass murder of Middle Eastern people. This entry was posted on Friday, January 17th, 2014 at 7:44 am	and is filed under 9/11, Anti-War, Censorship-Propaganda, Freedom, Justice, Kevin Barrett, Mind Control, News, Protest. You can follow any responses to this entry through the RSS 2.0 feed.